Isidoros Garifalakis – For his passionate commitment to integrity and honesty in business. Isidoros Garifalakis is the founder and CEO of Vancouver, Washington based Omega Industries, Inc., the nation’s largest railroad crossing supplier and world-wide leader in steel fabrication, railroad track products and dredging equipment. Isidoros was born in Palioxori, Evia Greece in 1947 – the youngest of seven children. The value of hard work was learned at an early age. Isidoros Joined the Merchant Marines at the age of 16 to support his parents and siblings. In 1967 he served in the military for three years as an officer. The same grit and determination that were forged in the military set the stage for his success later in life. 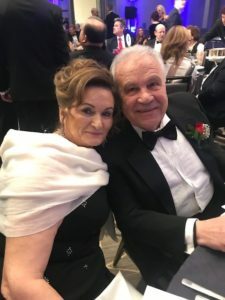 Recently married at the age of 23, Isidoros arrived in the United States and began washing dishes with the goal of bringing his wife, Maria, to the U.S. as well. Within five years of arriving in the United States, Isidoros was able to learn English and obtain American citizenship. Isidoros worked day and night, so that Maria could be home to raise their three daughters. In 1978, with courage, dreams and $500 in savings, he purchased his first welding machine with the vision of starting his own company. Isidoros never stopped believing in himself and never gave up. Consequently, customers quickly took notice of his determination and commitment to quality. 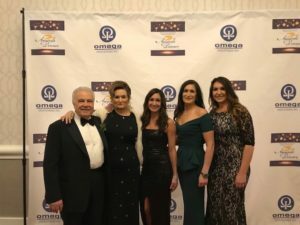 With the help and faith of those first customers, the meteoric trajectory of Omega Industries was established early and has never been diminished. Isidoros is recognized and honored philanthropist with a generous nature that has shaped his work and relationships with people. Isidoros and Maria maintain strong ties to their roots and hometown village in Greece. They not only financially support family and those in need in the village, but generously fund projects in monasteries, churches, schools, and even established health clinics in their village and surrounding areas. 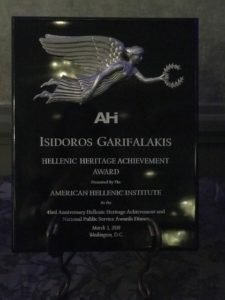 In recognition of his embodiment of the best of both Hellenic ideals and the American Dream, Isidoros Garifalakis was presented with the Hellenic Heritage Achievement Aware on March 3, 2018.